As of June 2016, we are in the consumer fireworks business. Currently our consumer fireworks sales are seasonal and take place at our tent at 1511 US Rt. 60 W, Milton, WV. The tent will be open in 2017 from June 16 - July 5. Hours will be announced closer to opening. We are also planning a consumer fireworks demo sometime around tent opening. 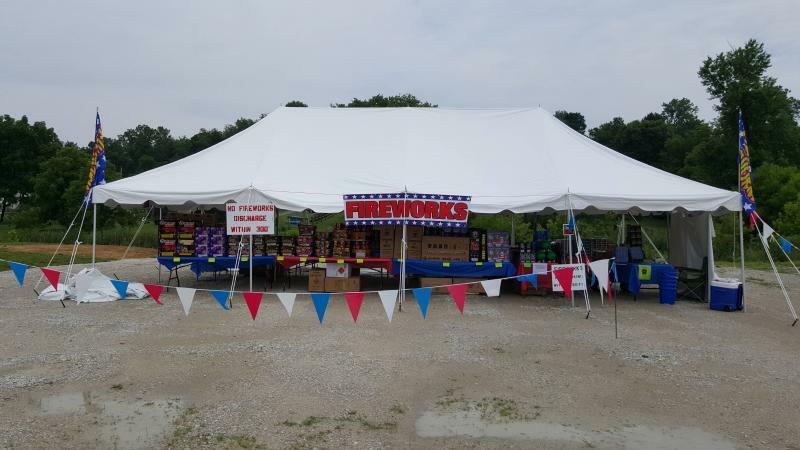 During our tent sales season we stock a selection of fireworks that includes everything from small novelties to near professional grade reloadable shells and cakes. You're sure to find something you like! Please note we do not ship fireworks. All fireworks purchases incure a 6% sales tax and 12% safety fee per WV state law.